List your business or organization in the directory today! Tawi Family Village and the 2018 Citywide Kwanzaa Planning Committee will be hosting the 52nd Kwanzaa Celebration from December 26, 2018 – January 1, 2019, at the King Arts Complex. Kwanzaa is not a religious celebration but a community celebration acknowledging all the work and accomplishments that our community has made for the year. Kwanzaa is an event for the entire family where we honor the elders of the community, uplift the adults and showcase our youth. We are seeking business owners to sponsor our community celebration and be listed in the 2018 African American Business Directory. Tawi Family Village has led the Citywide Kwanzaa Celebration for the past 51 years, is a 501c3 organization, and your sponsorship support is tax deductible. Sponsors can make a donation for as little as $10 toward the cost of the celebration. For as low as $10 for individuals and $15 for businesses, sponsors names will be listed in the 2018 African American Business Directory. 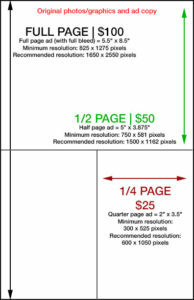 See the cost for a quarter, half, and full-page ad listed below. There is no cost to the community to attend the events, therefore, we are asking for your sponsorship support to assist us in hosting a successful week of activities. Click the button below to submit your sponsorship request! If you have any questions, contact: Phyllis Hairston-Ransom @ pjhransom@columbus.rr.com or 614-406-9425. Ads are placed on a first come, first served basis. 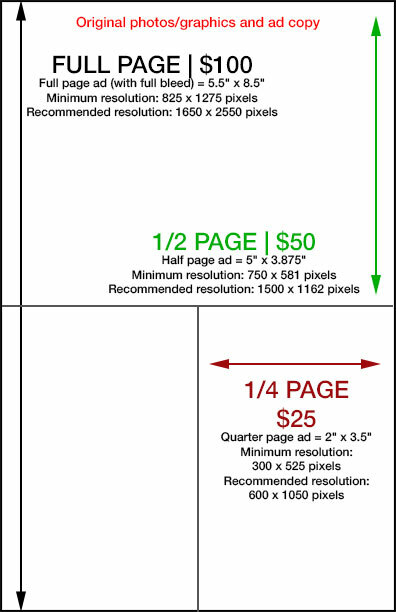 To reserve the inside front cover or inside back cover ads, click here to contact us for a special price quote. This year, everyone that attends the 2018 Kwanzaa celebration will receive the 2018 African American Business Directory. The directory of African American businesses is for our community to use throughout the year to support black businesses and live the principles of Kwanzaa. The directory is a cultural keepsake that includes an original art piece on the cover, the Kwanzaa celebration program, the Nguzo Saba, Black National Anthem, 2019 calendar, and directory of black businesses to support throughout the year! Complete the form below to submit your sponsorship request! If you have any questions, contact: Phyllis Hairston-Ransom at pjhransom@columbus.rr.com or 614-406-9425. The deadline for 2018 has passed. Please come back for the 2019 celebration.